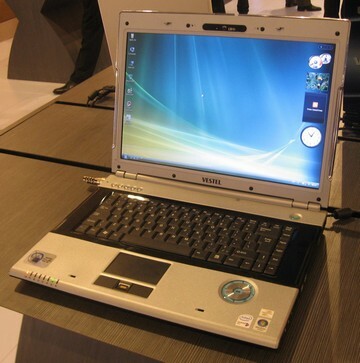 A notebook computer produced by the Turkish manufacturer Vestel. This product is based on an Intel reference design. Dev managed all technical aspects of this notebook design, including mechanical, thermal, industrial, and electrical design. He also architected the notebook motherboard standard that is used in these reference designs. A Tropos Networks 4210 mobile router. This Wi-fi device can be installed in cars, trucks, or other vehicles and provides high-performance access to a mesh network of infrastructure routers. In this manner, one can have continuous Internet connectivity on the road. Dev managed all aspects of the product hardware design and designed many of the key systems himself. A Tropos Networks 5210 infrastructure router. This device allows the creation of city-wide Wi-Fi mesh networks. Dev managed the baseband, mechanical, thermal, and environmental design of this product. He designed many of the key hardware systems personally. 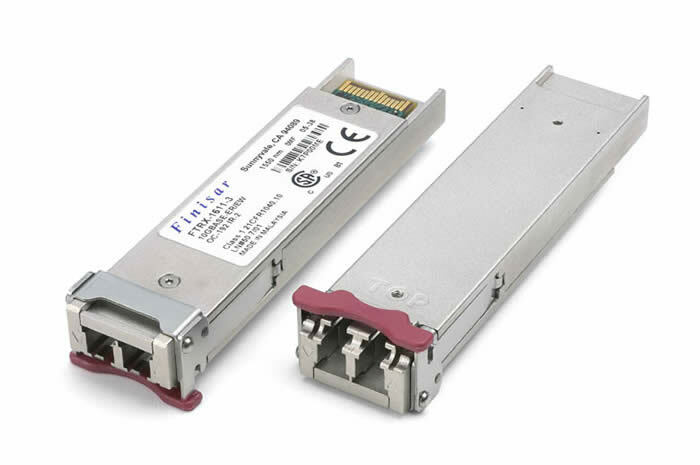 A Finisar Corporation XFP fiber-optic transceiver. This particular device allows 40km of transmission with wavelength division multiplexing. When released, this product was revolutionary for its outstanding performance and feature set in a small, low-cost, and low-power package. 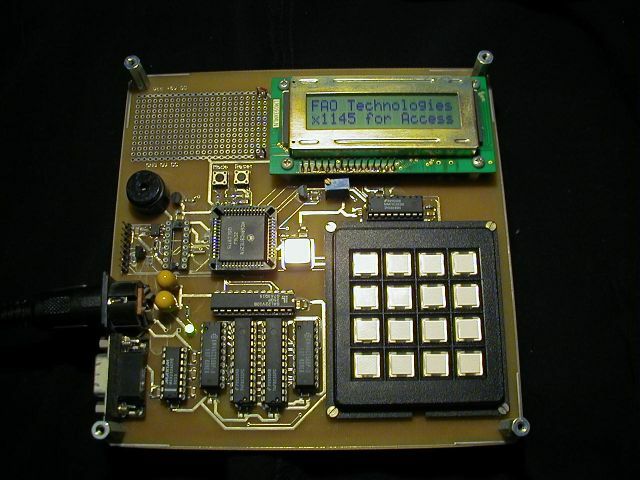 Dev managed all hardware development of this product and designed many of its key electronic and optical systems. 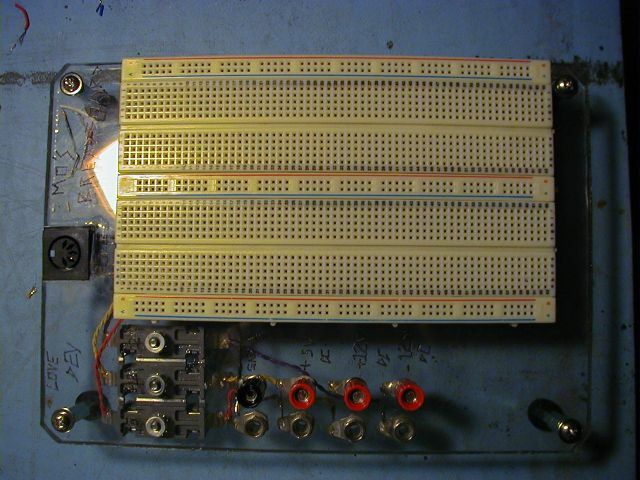 Dev designed and built this electronic breadboard as part of an educational kit he developed for a high school student. Dev designed and built this contest controller for a robotics competition at Caltech. This PIC-based microcontoller board contols operation of radios as well as large LED-based displays to show the participants and audience how much time remains in a round of the competition. 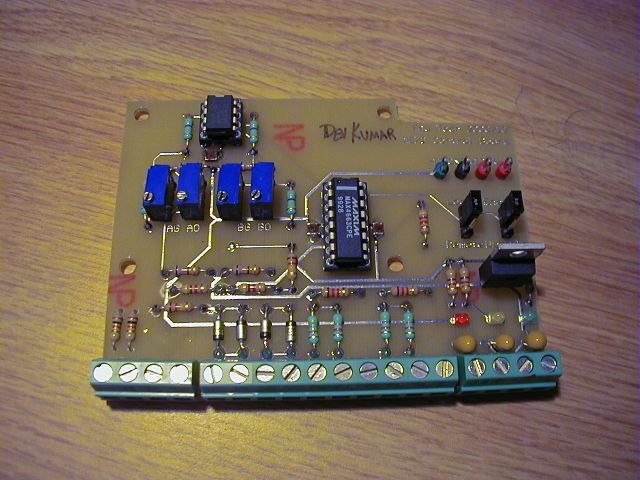 Dev designed and built this board to interface analog radio controllers to the contest controller. It also corrects some undesirable characteristics of these controllers with nonlinear op-amp circuits. Dev designed and built this general-purpose microcontroller board. 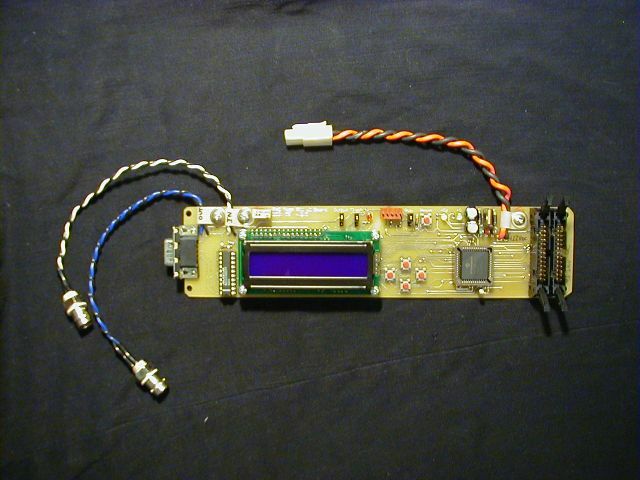 This 68HC11-based project has served many purposes, including service as an electronic door lock. 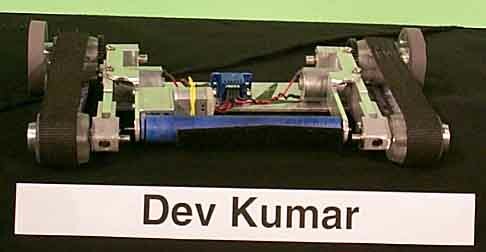 Dev designed and built this machine which was the undefeated champion of the 1999 Caltech design competition. Detail of the main track transmission. 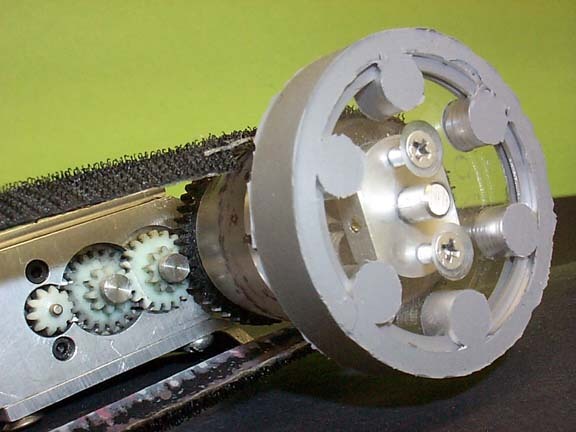 Detail of the track with crowned pulleys and tensioning device. 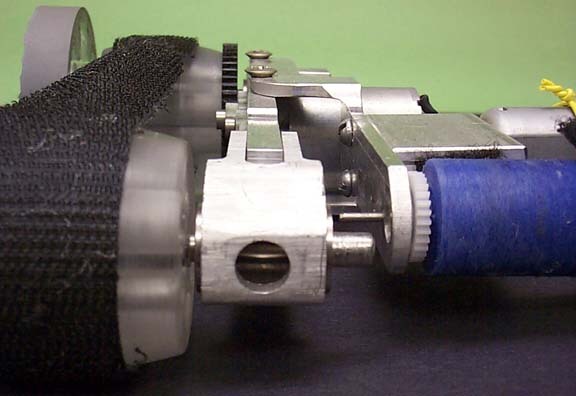 Detail of the collection roller and concealed gearbox. 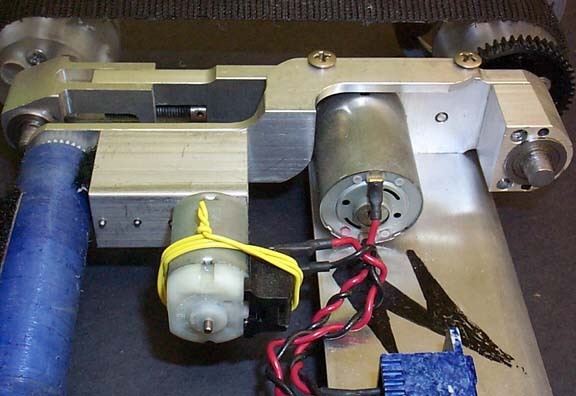 Detail of the motor mounts and interior of the chassis. 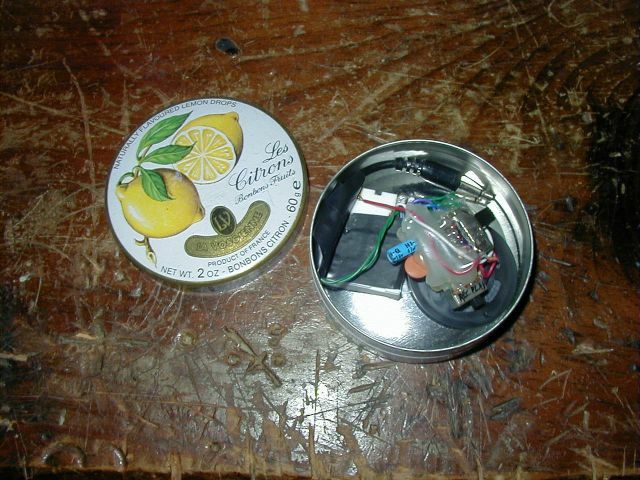 A custom "red box" concealed in a small can of candies. Dev made this device early in high school. The electronic guts were salvaged from a recordable greeting card. The shape of the can allows it to couple acoustically directly to a telephone handset.